Well, I’m not actually going to talk about it here. Not the gameplay, anyway, which is reasonably solid and still holds up quite well today, but which has been dissected, catalogued, analysed and reassembled to create any number of bastardised clones which litter the gaming annals of the past two decades like Dr Moreau’s “experiments”. We know about the gameplay. We’re sick of talking about the gameplay. What I want to talk about is Command and Conquer’s use of media, and in particular Command and Conquer’s use of sound. C&C came out at a time when CD drives were just starting to become ubiquitous in the burgeoning IBM PC market, and the developers – Westwood studios – had decided to make full use of the massively expanded storage capabilities of the new format. For most other titles, this meant a game filled with reams and reams of poorly-acted full-motion video sequences (FMV) like the 7th Guest, or else a painstakingly rendered slideshow of “puzzles” a la Myst. 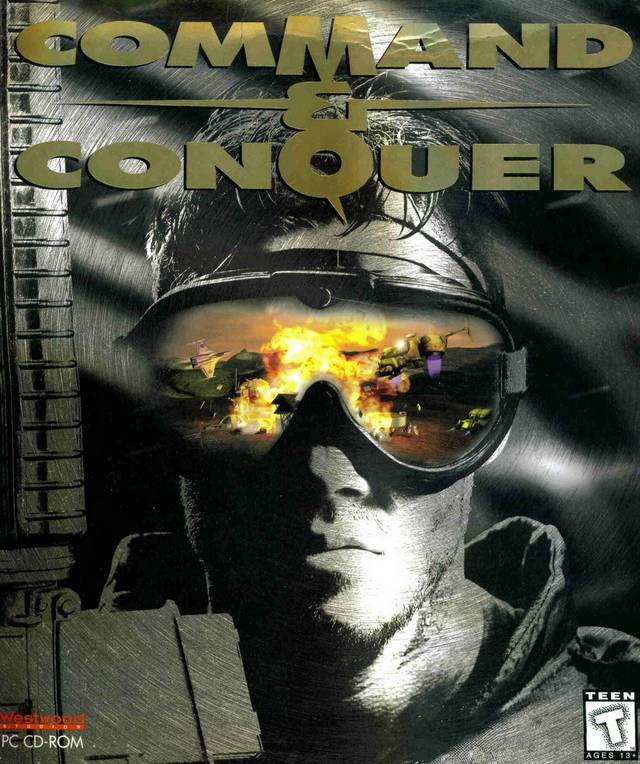 For Command and Conquer, it meant… well, it meant much the same thing. C&C has become famous for the FMV snippets that bookend each mission you do in the campaign, but they differed from the usual dross in a couple of important respects. First, the CGI sequences were, by the standards of the day, absolutely stunning. This sort of thing looked to me in 1995 like this looks to me now, and while the live-action sequences were as hammy as any other FMV game they were broken up by both the CGI and by Joe Kucan’s mesmerising performance as Kane. Kucan was actually the director of the live-action bits moonlighting in one of the main roles, but despite being only a fair-to-middling actor he’s got this definite charismatic magnetism to him that you can’t really fake. You really believe this guy could be the leader of a world-wide cult, and it’s all helped along by Kucan knowing exactly how much of the scenery he should be chewing at any one time1 – not to mention one of the best videogame entrances ever. While it was impressive for the time the FMV was, in hindsight, a mere sideshow to the really groundbreaking stuff C&C did. The conceit of the game is that you are actually a commander giving orders to the little men you see on the map through an interface called EVA. EVA reacts to everything you do in the game, responding with an emotionless computer-yet-not vocal cue whenever you start a building, build a unit, run out of money, or come under attack. RTS refinements like build queues and other queued orders had yet to come into being, so you were stuck building one unit at a time and one building at a time. This made EVA indispensible if you were trying to do things efficiently, allowing you to continue managing your base via the sidebar without having to keep an eye on it the whole time. I actually miss having those cues around when I play modern RTSes, which regrettably appear to have done away them. The idea of EVA is so heavily integrated into the game it even finds its way into the game installer (this is legitimately amazing to a twelve year-old). It permeates everything you do from the moment you click the “Start New Game” button in the main menu, and it is backed up by some of the most outstanding music ever written for an RTS. In my experience most RTSes go for the subtle approach; their music is respectably minimalist without ever approaching being memorable. Example: I cannot remember off the top of my head any of the music from Starcraft, although I’d be able to pick it out of a police lineup after dozens of hours spent playing it. By contrast, I can remember nearly all of the music from C&C. It’s a collection of fantastic techno/rock designed to get the player fired up and into the game, and this is actually kind of necessary because by modern RTS standards – and even compared to Red Alert, its sequel – Command and Conquer is a very slow game. Any unit that isn’t basic infantry is built at the rate of one every couple of minutes; once built, they crawl across the map at a glacial pace, and when they encounter bad guys the shootout goes on for a while as one side or the other is gradually worn down. You need something to keep your mind occupied during the downtime, and Frank Klepacki’s soundtrack delivers in spades. From the fanatical chanting of Fight, Win, Prevail to the robotic beats of Mechanical Man to the incredible synth tones of the game’s signature theme, Act on Instinct, there’s not a single track here that doesn’t stick in the mind for years afterwards. It might actually be the most consistently good game soundtrack I know of; certainly it’s one of the few that functions on its own as a standalone entity. And what happens when you throw all of these elements together? Well, you get this. I posted a link to this on Sunday, but it bears repeating: even today the audio and video for this game is impressive. Back in 1995 it was groundbreaking; a game that was using the extra storage space of CDs to deliver a comprehensive multimedia experience where everything was designed to work together to produce an unforgettable experience for anyone who played it. Amazing. Unfortunately, as with most good things, it didn’t last. Red Alert continued the trend of excellent music combined with high-budget CGI and low-budget acting, but after that too was a runaway success Westwood started to get delusions of grandeur and went all serious on us. The third C&C game, Tiberian Sun, was a startlingly drab, dull and depressing affair, where the gameplay, music and cutscenes were all completely devoid of the sense of vitality that was present throughout the first two titles. 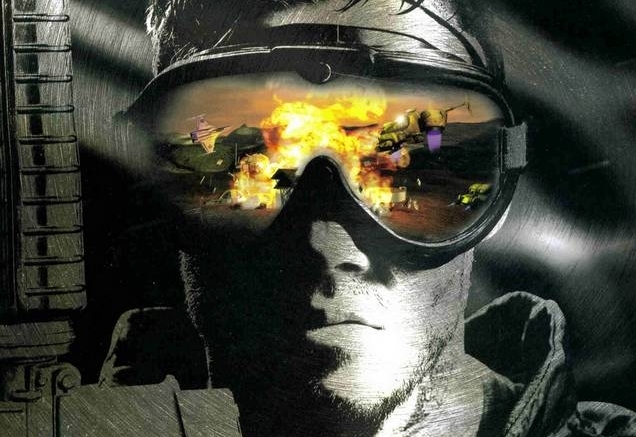 This wasn’t because it ditched the multimedia approach – it was just as media-heavy as its predecessors – but the tonal shift away from lively green and white battlefields to a post-apocalyptic brownland was one that foreshadowed the similar change in direction taken by FPSes and action games a few years later. Red Alert 2 was definite overcompensation for this, and then Westwood folded taking the soul of the franchise with them. Ah well. We’ll always have the original games, especially since EA released them for free a couple of years back. Although getting them to work on modern operating systems could be a bit of a bugger. 1. Joe Kucan might not be that great an actor, but he’s perfect for what C&C is. He fits the role like a glove, and this was proven beyond a doubt when the sequels got in real actors who had been in actual films and television series; despite (or perhaps because of ) their acting pedigree they looked oddly ill-at-ease at being asked to give the equivalent of a pantomime performance for a computer game. Compared to them, Kucan looked like a natural. I remember C&C fondly but I think I remember Dune II and Red Alert far far more. They are the games that I played for ages – in comparison C&C is one that I’ve never actually completed. I think what did it in Red Alert for me is the excellent acting by the guy who played Stalin. The Soviet FMVs were significantly superior to the Allied ones. Which is a shame to some extent, but it was just the circumstances as they were. It also led to me rather enjoying Tiberium Sun. There. Mock me. I also admit to liking Emperor: Battle For Dune, which introduced some very interesting concepts to the traditional Westwood RTS formula and made it all the more fun for it. On the other hand, C&C4 tried to introduce some pretty interesting new things, didn’t it? That was absolutely awful. It was impossibly turgid and unexciting. DOES NOT COMPUTE. Stalin-guy was like Kucan in that he understood exactly what was required of him and delivered to a T, but I’m not sat here saying George Takei schooled us all with an acting masterclass when I saw him in a Christmas pantomime a couple of years ago. Tiberian Sun isn’t bad, exactly, it just went out of its way to make everything that wasn’t actually playing the game as dull as humanly possible, which is why I hate it. Also, Emperor was… interesting, but still kind of mediocre, and I wouldn’t have played even the skirmish as much as I did if it hadn’t let me go charging around the map with hordes of Sardaukar. That’s what I meant by excellent acting – suitable for the given task. Which was to act like a ridiculously stalin-y Stalin. Sardaukar were awesome. And the varied Atreides/Harkonnen/Ordos forces were very nice to pootle about with. And I liked how attack and defence battles were different… it was all quite good, if not mind-blowing. Speaking of CGI sequences that blew my mind at the time. Dungeon Keeper. I never skipped the intro video when I played it and I don’t think I can say that about any other game. YOU SHUT YOUR FACE. YOU SHUT YOUR STUPID FACE AND SHUTUP. This was probably my first “proper” game apart from SimCity 2000, so it will always have a special place in my heart. It was my first PC game (apart from Doom) and really opened my eyes to what games were capable of. I think Tiberian Sun is the only C&C I’ve ever played, which seems odd considering how strategy-heavy my early years were. While Dune 2 introduced me to games, C&C is what really got me into them. I’m glad Kane’s entrance is mentioned in this post because its awesome.